Global Software are the No.1 provider of Microsoft Excel-based Automation Solutions to all of the leading ERP platforms. Their mission is to enhance the users ERP experience via Microsoft Excel and streamline Microsoft Excel Processes throughout the enterprise. Their flagship application, Spreadsheet Server has become the de-facto standard across the globe with its proven track record of enhancing the user's ERP experience via Microsoft Excel. 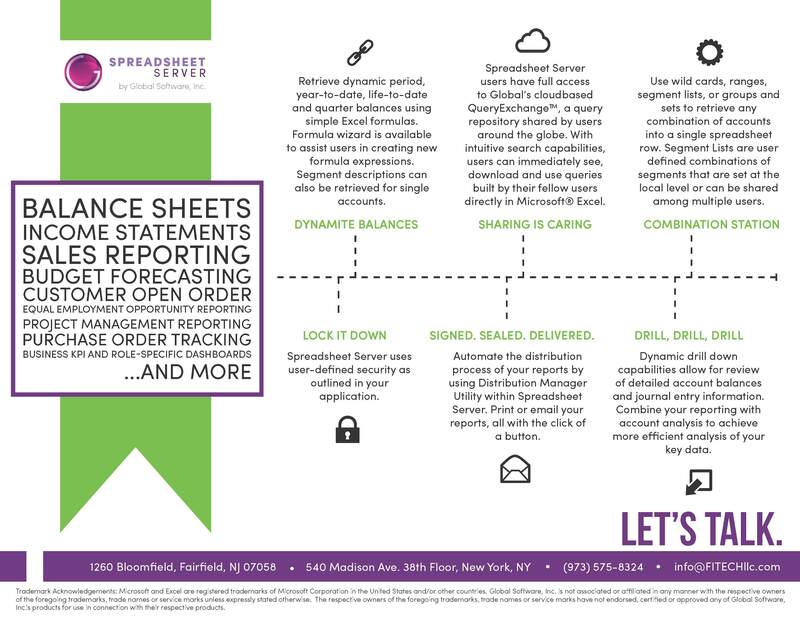 Spreadsheet Server works as an intuitive Microsoft(r) add-in, providing live and dynamic reporting and analysis from your respective ERP into Microsoft Excel.